Events are everywhere. And with these events come a lot of social media engagement options. 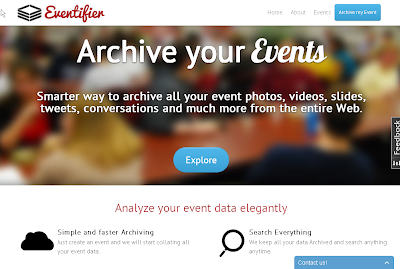 You post your event photos on Facebook, videos on Youtube, tweets on Twitter, documents, etc. However, managing and sorting all these scattered pieces becomes cumbersome. How about maintaining all these archives at one place. Founded by Jazeel, Mohammed and Nazim, Eventifier lets you archive your event and collaborate all the information at one place. Eventifier is a smarter way to archive all your event archives from the entire web. Let’s have a look. A website’s first look says much and Eventifier clearly wins on that. Simple User Interaction and navigation is cool. Creating an event is as simple as providing your Event Name, email-id and #tag and rest is on them. 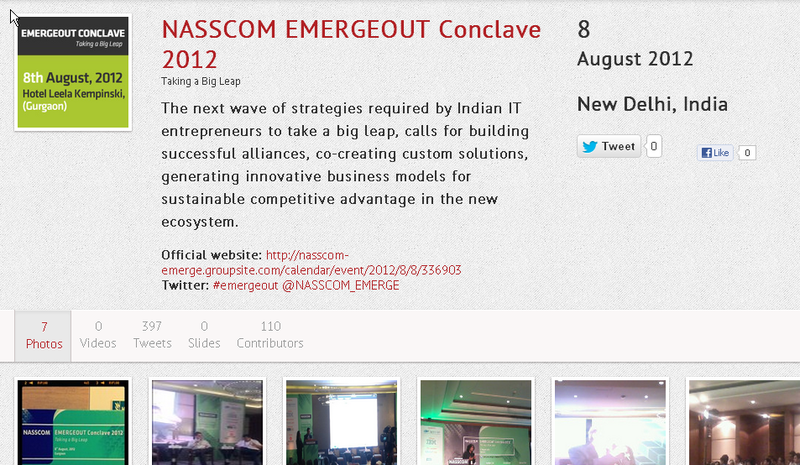 Every event has a page which archives all its details, photos, videos, tweets, slides and details of all the contributors. The design perspective is appreciable proving how to show bundle of details with minimum complexity. The app works fast. However I feel the event search functionality can be broadened and made more advanced. Looking at the increasing interaction of Eventifier, and it's backing up with The Startup Centre, Eventifier has surely started up on this. So next time I am gonna arrange any event, it will surely be a part of Eventifier. Recommended.